This vector pack is full edgy and cool design elements. Skulls, banners, signs, and much more. Great clip art to use on poster, shirts and many more design projects. 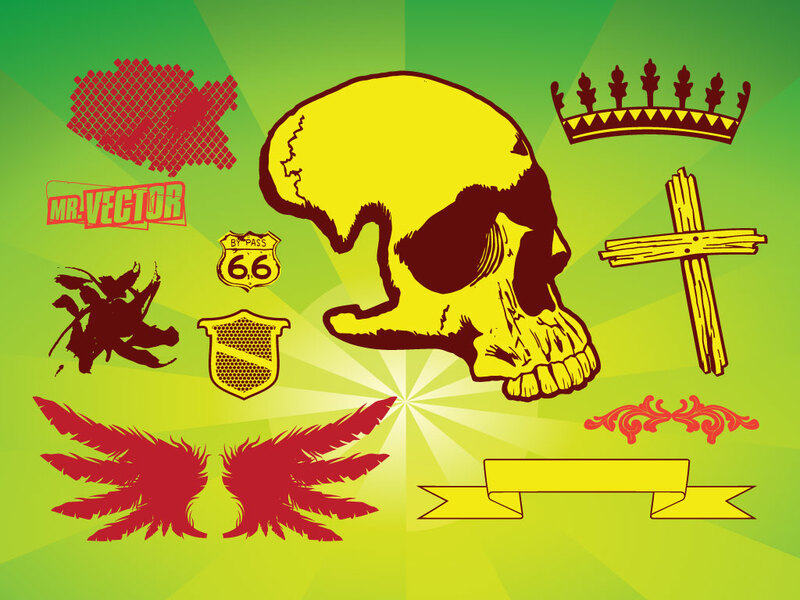 Tags: Banner, Cross, Crown, Pack, Ribbon, Set, Skull, Urban, Wings.